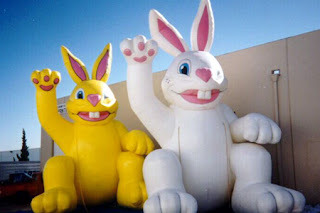 ...or dese giant evil bunnies will be vewwy vewwy angwy and will smite you wiv deir giant evil paws. Go, eat. Do it for me - I still have to take it easy on the bod this weekend, so I'm hoping to live vicariously through everybody else. I hope to see pictures or hear word of many faces smeared with chocolate, icing sugar, cream, honey, bits of hot cross bun or crumbs of maztoh brei. So, go. EAT. Also, God will love you more if you go check this out and tell us what you think. We've got a few more weeks of beta, but it's looking pretty good if I do say so myself (and, as it happens, I do say so myself.) But we'd loves us some feedback. Consider it your Easter/Passover/Spring good deed. Or something to keep the Giant Evil Bunnies away. It was just over two and a half years ago that we learned that my nephew, Tanner, has Duchenne's Muscular Dystrophy, and that he will die from it. He was not quite five years old at the time. We were devastated. Wrecked. Heartbroken. What very nearly got lost in the distress of those days and weeks and months was this: the decision that my husband and I had made, just weeks before learning of Tanner's diagnosis, to start a family of our own. I say very nearly, because that decision wasn't forgotten about entirely: it was pushed to the sidelines, too troubling a project to continue to consider openly. Too troubling, because with Tanner's diagnosis came provisional diagnoses for both my sister and I: we were likely carriers of the gene that causes DMD, and as carriers, any male children that we might bear had a one-in-two chance of inheriting the fatal condition. My husband and I immediately ceased all talks concerning a family of our own. We needed to come to terms with Tanner, first. And we needed to learn more about what it might mean if I carried the gene. I underwent genetic testing, and genetic counselling. Months of it. I learned more about what I already knew: that if I did carry the gene, as was likely, I would likely pass it on to any son that I might bear, and that he would die from DMD. I also learned that as a carrier, I would have diminished muscular capacity myself. Weaker lungs. Weaker heart. That I had a history of respiratory weakness that worsened with illness was regarded by my geneticist as a very bad sign. At the time, the physical weakness that I might suffer due to such a condition seemed unimportant. I was concerned for Tanner, and for any future children I might have. When a close friend expressed horror at my announcement that Husband and I had begun reconsidering starting a family - her argument, that I was irresponsible to consider bringing such a child into the world, and that I would no doubt be compromising my own health to do so - I was unmoved. I would love any child that I might bear, no matter how brief or limited his life. And I would risk my life to have that child. I would give my life for that child. I knew this, in my soul and in my heart. My tests came back more or less negative, in a complicated odds-on-odds-off genetic calculation that was at once reassuring and confusing. And we went on to have WonderBaby, and have been celebrating life ever since. But I've never forgotten my commitment to do anything and everything for my children, including risk my life. And I've never forgotten the fear that attended the making of that commitment. But fear, now, is entirely bound up in love, and so much more complicated. And so when it felt that my heart was giving out earlier this week, the fear came rushing back in a torrent muddied by love and desperation. I was terrified. I had overtaxed my muscles, I thought; the geneticists had erred or misinterpreted (as they did with my sister), the muscle that is my heart was failing, I would die, and for all of my commitment to giving everything, everything, to the care and love of my baby, I would, in the end, lose her by losing myself. The hours between the first moments of the attack and the moment when the ER doctor said your heart looks fine were as terrifying (more than? a calculation that I cannot make) as the darkest moments of my troubled pregnancy. It seems that I have nothing immediate to worry about, for now. Whatever happened, it did not damage my heart, it did not weaken my heart, it did not hurt my heart in any manner other than figurative. My heart, they tell me, is strong. The attack was not heartburn, nor was it anxiety (which I knew before I even hit the ER - I have extensive experience with both these plagues), but neither was it cardiac arrest and that, my friends, is tremendously reassuring. There is still, however, enough unknownness to leave me discomfited, to keep me gripped, however loosely, in the bonds of anxiety. I hope that it turns out, after more poking and prodding, to have been a muscle cramp, one that has nothing whatsoever to do with dystrophies or other muscular degenerations. I hope that it's nothing, nothing at all. I hope that all of this hand-wringing is just that - the hand-wringing of a pathological hand-wringer. Because although my heart remains undamaged, it was weakened, just a little, by that frenzied little dance with fear. I would give my life, in a heartbeat, for WonderBaby - my own life is, in so many ways, much less precious to me than is hers. But to be pulled away from her precious life seems unbearable, in a way that I hadn't quite fully appreciated until that tremor of a heartbeat rattled my soul. That other parents face or have faced that rattling to the full - feel that pull to its end - and live on with their broken hearts still beating astounds me and humbles me. Gots to be gentle with my ma. I needs her heart. I just need some rest now. Will resume normal blogging activities soonest. Also, I am so sorry for scaring anybody the other day with my ohmygodamidyingiamsoscared post of the other day. But it was so necessary to vent my anxiety, to put trembling hands to keyboard to make the minutes fly by more quickly and to slow the pounding of my troubled heart. That you were all there, listening and - so immediately - whispering soothing words of comfort, was so, so wonderful. Such a community. Whatever else we might say about it - and we said so, so many things this past weekend, the little group of us in Kentucky - it is this: it is intimate, and warm, in the most wonderful and unlikely ways. I'll have more to say about this when I'm back on my fingers. Until then, just this: thank you. Too many words. There are just too many words, more than I can manage right now, required to tell the story - stories - of the Magical MommyBlogger Mystery Tour, Kentucky Edition. It was wonderful, amazing, fascinating - all those good things that you love (or hate) to read about. But I can't tell those stories right now, because I'm a little bit distracted, sitting in my office at school, waiting for my husband to come and pick me up and take me to the hospital to investigate some mysterious chest pain, having had a long and disturbing telephone call with an ER resident about my symptoms. I'm - what's the term? - wigging out, just a little bit. All that I can do is wait, and nervously wring my hands. I'm anxious. 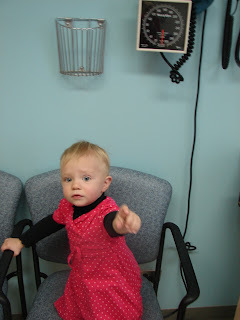 Is it bizarre that I'm blogging right now, as I wait to be ferried to the hospital? I can't think what else to do. Ironic, or perfectly fitting, that, after a weekend of analyzing mommyblogging and spinning fascinating theories about what is mommyblogging and why mommyblogging and what is writerly about mommyblogging, this mommyblogger is reduced to blithering and spewing stream-of-consciousness babble? I'm anxious. I hate doctors. I'm a worrier. I've barely seen my baby since I returned home. I'm worried, and I don't want to go to the hospital, I want to go home to my baby. I need you to tell me this: that I'll be fine. That it's fine for me worry. That I'm not crazy for writing through this immediate, impossible anxiety on a blog. That it's all just fine. It's all fine, it will all be fine. He'll be here soon; I need to pack up and go. UPDATE: I have not, it seems, had a heart attack. I had a lot of the same symptoms, but they did all variety of unpleasant test - blood, heart traces, ECG - and there was no discernible damage to my heart (other, I suppose, than that wrought by my anxiety) and so no evidence of an attack. They don't know what happened; I'm going to the doctor again this afternoon. But at least the immediate worries have been allayed. Thank you so, so, so much for your concern and your support, and your understanding. Friends, all of you.